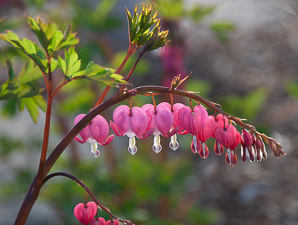 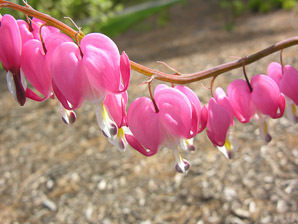 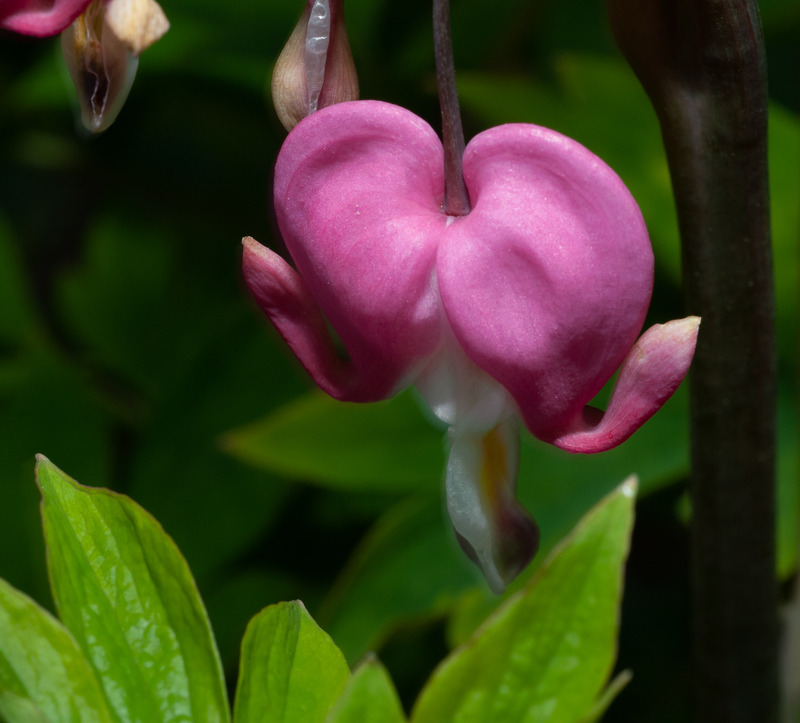 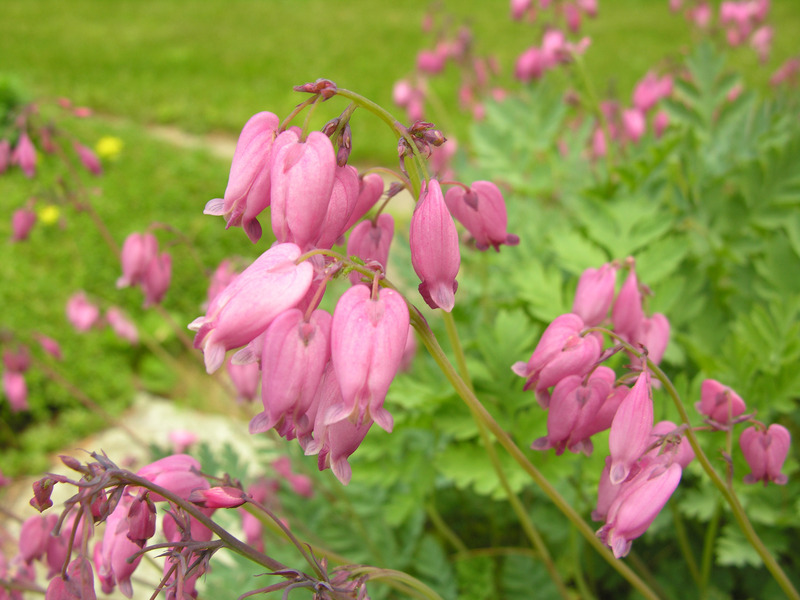 Bleeding hearts have very attractive pink heart-shaped flowers. 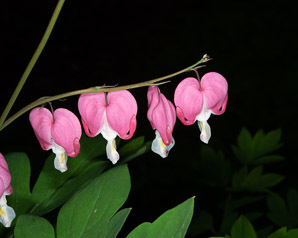 They are native to Siberia, Japan, Korea, and northern China. They are very popular in U.S. gardens. 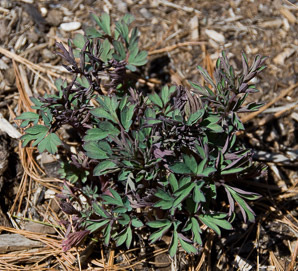 Plants: 24-59" (60-150 cm) in height, with a bushy habit. Plants become dormant after producing seed pods, yellowing and looking pretty much hopeless. 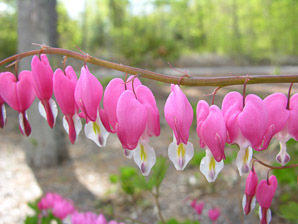 But they bounce back in the spring. 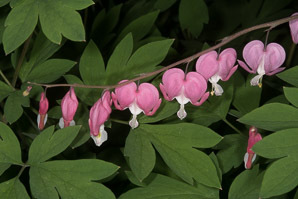 See Dicentra for a comparison table. 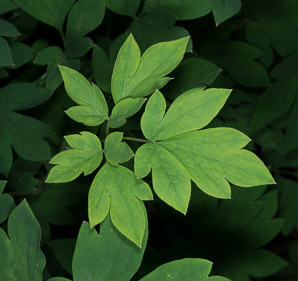 Leaves: 4-12" (10-30 cm) in overall size, divided two or three times into smaller leaflets, on stems 1¾-4½" (5-12 cm) in length. Flowers: All bleeding-hearts have pillowy, heart-shaped flowers with a white longer petal hanging from the bottom. Flowers appear in Apr-May. 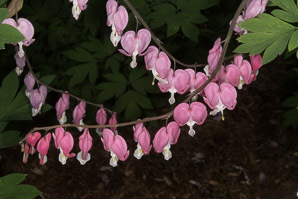 Some varieties bloom much later. 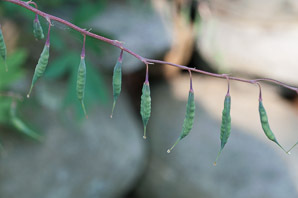 Fruits: Beanlike oblong seed capsules, each with 2-8 seeds, are ⅞-1¼" (2.5-3.5 cm) long. 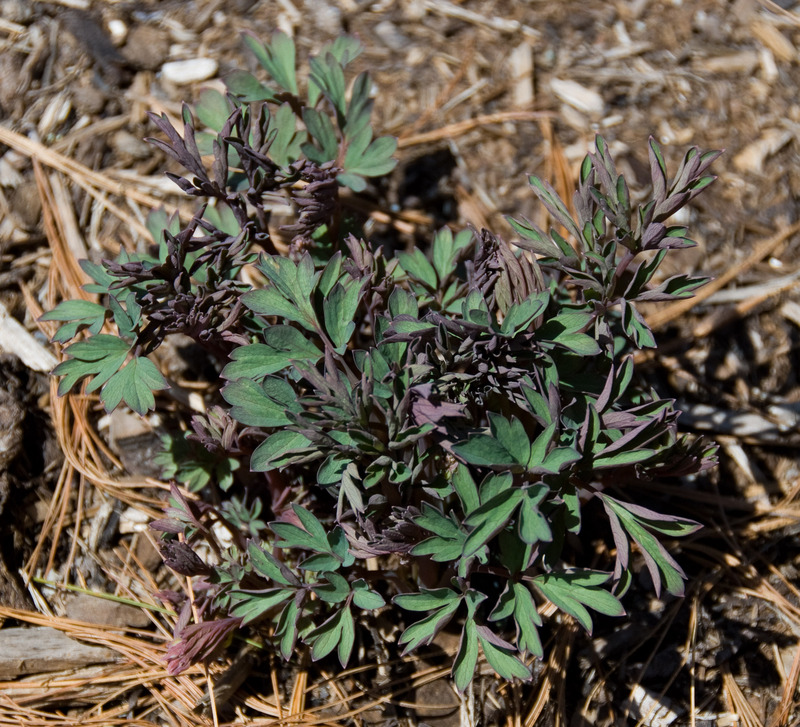 Seeds are black and rounded, approximately ⅛" (3 mm) around. 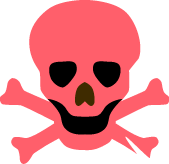 Edibility: Poisonous. May also cause a rash in some people. Lamprocapnos spectabilis description by Thomas H. Kent, last updated 12 Oct 2018.